This short introduction leads to the full article published in PDF format, where the reader may find a rich critical apparatus and a full list of references. Figure 1: An armillary sphere in Ma'rifatname of Ibrahim Hakki Erzurumi. Adapted from the original manuscript held in the Suleymaniye Library in Istanbul, Haci Mahmud collection, MS 5616, fol. 1b. The armillary spheres are one of the three types of three-dimensional celestial models which also include the spherical astrolabes and celestial globes. The development of the armillary spheres reached an advanced level of sophistication during the 10th century, appearing in two main varieties. The Demonstrational Armillary Spheres were earth-centered models where the circles of the ecliptic, equator, tropics and polar circles are represented by rings which encompass a tiny model of the earth. This structure is held in place by a graduated meridian ring and is pivoted about the equatorial axis. A horizon ring forming part of the base also holds the structure in place including the meridian ring. The moon, planets and stars did not constitute part of the model for these spheres. The second type is the Observational Armillary Spheres which differ from the above by the absence of the earth globe in their center and having mounted sighting devices on the rings. These spheres are tools used to determine coordinates and other values, and the demonstrational spheres appear to just give relative motion of bodies about earth. 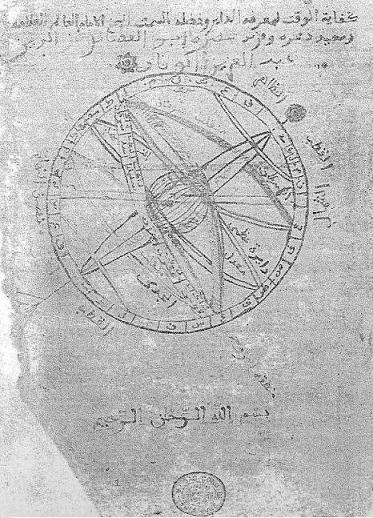 Figure 2: Demonstrational Armillary Sphere as depicted at the beginning of a treatise on astronomical tables by the 15th century Cairo astronomer al-Wafa'i. Muslim astronomers used and constructed armillary spheres as early as the 8th century, the first being the treatise of ‘dhat al-halaq' or "the instrument with the rings" of al-Fazari which is considered as the earliest known treatise on the subject. Sources also indicate that ?Abbas Ibn Farnas who lived in 9th century Cordoba (d. 887 CE) constructed one but was unfortunately lost without a trace. There are no early Islamic armillary spheres which survived, and thus this document is based on information obtained from treatises. There were many Muslim astronomers who wrote about the observational armillary spheres, an example of which is a discussion by Jabir b. Aflah (d. mid-12th century) also known as Geber. They built on the works of Ptolemy's Syntaxis, known as the Almagest (written in the 2nd century) in the Islamic world. The use of armillary spheres for observations is well evidenced by observatories such as the Maragha observatory (13th century), the Samarkand observatory (15th century) and the Istanbul observatory (16th century). Figures 1 and 2 are two of the few known illustrations of demonstrational armillary spheres of Islamic origin. Figure 1 is from an 18th century Ottoman manuscript while Figure 2 shows an illustration by the 15th century Cairo astronomer al-Wafa'i. 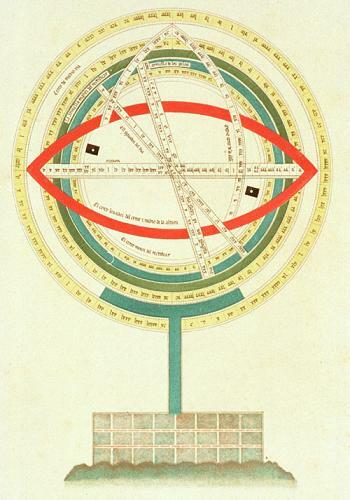 Figure 3: A drawing of a demonstrational armillary sphere, from Libros del saber de astronomia del rey D. Alfonso X De Castilla, a compilation of sixteen treatises translated from Arabic upon the instigation of Alfonso X in Spain in 1276 -1277. (Source). O. Kurz, "European clocks and watches in the near east", London/Leiden, 1975, p. 69. * Samia Khan is a Researcher at the FSTC. The research conducted for this article benefited greatly from interviews with Professor Emilie Savage-Smith (University of Oxford) and Emily Winterburn (Royal Observatory, Greenwich). Some of the drawings were done by Jonathan Chang, ex-researcher at FSTC.